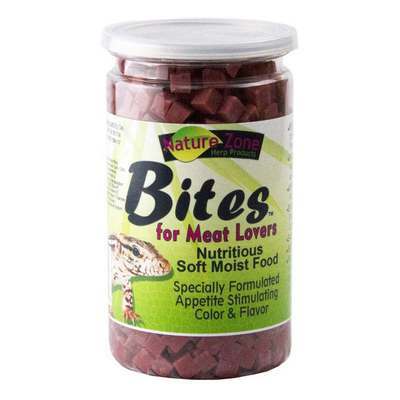 Nature Zone Bites for Meat Lovers is specially formulated with just the right color and flavor and nutrition for meat-loving reptiles like monitors and tegu lizards. Complete nutrition, with Amino Acids, proteins, vitamins and minerals. Ready to eat, not preparation required.